Boutique beer store Beer Cartel has introduced keg fresh beer as it seeks to become Sydney’s premier craft beer bottleshop. 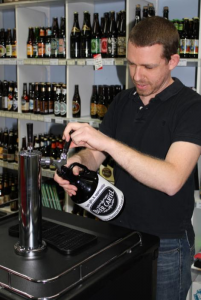 In January 2011, online retailer Beer Cartel made the decision to open a bottle store in the suburb of Artarmon, on Sydney’s Lower North Shore. The premise for the store was to become Sydney’s premier craft beer bottleshop, with an aim of bringing the amazing flavours brewed in craft breweries in Australia and overseas to the homes of consumers.